Your article could not have been more true and relevant in the context of the world today. Modern psychology is nothing but a poor patchwork at understanding the problems and solutions of the human mind and brain. It is a result of a complete lack of understanding of the true purpose of life and a denial of the true meaning of existence. While I agree the that dealing with psychiatric problems in India by western methods is paradoxical and contradictory I would go a step further to say the it is equally and more true for the rest of world. It is only Patanjali and the ancient rishis and munis who understood the true objects and purposes of human existence and devised yogic practices asanas and breathing techniques that could keep the human mind and body in control so that the true all round physical and mental equanimity is achieved and consequently what the west calls happiness. Even the west agrees that prevention is better that cure. Yog aims at training ,strengthening, maintaining and consequently creating an equanimity in body mind and soul. This not only prevents any deviation or deterioration of the thought process and the mind at peace but also keeps the body healthy. 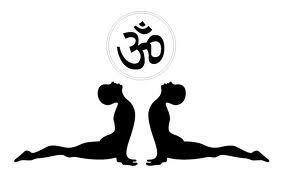 The key to physical and mental balance therefore lies in the practice of Yog. It would bring all round peace in person , communities, societies and the world.